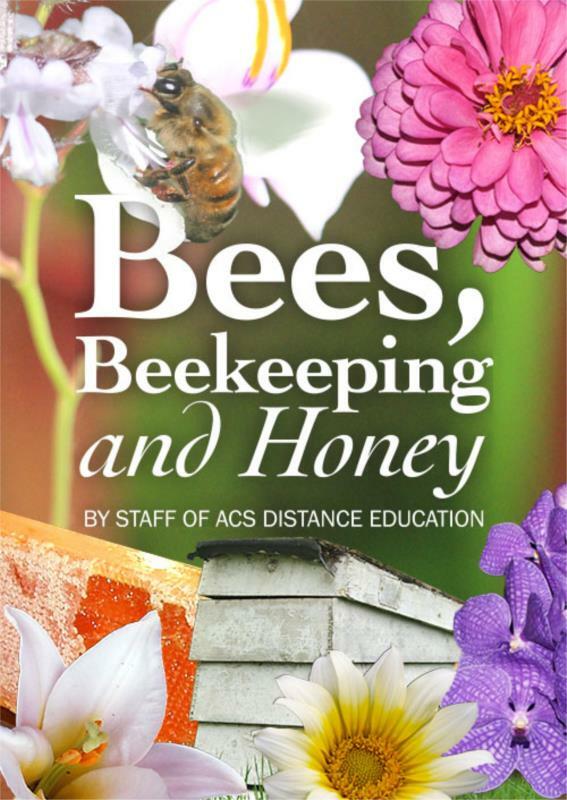 This ebook is designed to provide the reader with a good overall insight into Bees, Beekeeping and Honey. Bees play a vital role in pollination of crops, it’s important to improve diversity of bee populations and ensure there are enough of them to withstand any future threats. Besides pollination, bees provide us with wonderful natural honey too and for many people this is their main reason for keeping bees. Bees occur all over the world and honey has been farmed from bees for thousands of years. To most people, a bee is thought of as something that lives in a hive, produces honey and can sting you. In reality this only describes some bees; many people also confuse bees with other insects such as wasps and hornets. 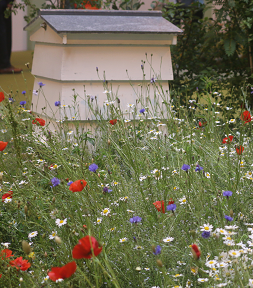 Keeping bees really isn't that difficult; even in a small home garden. You can even choose to keep stingless bees if you want. Bee keeping and producing your own honey is a terrific way to take a step closer to being more self sufficient in your own life. This book helps you to understand how to keep bees, what bees to keep, how to collect the honey, and other bee products and even how to use what you produce. How then is the Honey Collected? A smoker (smoke producing device). A hive tool (for removing frames with the loaded honeycombs). A super frame to hold the collected frames. There are many ways to remove the bees from the honey supers ranging from blowers to chemical mats. Providing you have a queen excluder, robbing is a simple matter. Put a little smoke over the top box and take each tray out one at a time. Give each frame one or two sharp downward shakes to dislodge most of the bees and then a quick brush with a bee brush will remove the rest. Don't leave your hive without a honey super for long otherwise the bees will start to fill the brood chamber with honey. You need a pot of boiling water on the stove and a couple of sharp long-bladed knives. Hold the frame on its end and with the heated knife, cut from the top down with a sawing motion that will cut more evenly. An uncapping fork will help you to unseal the honey cells that you couldn’t open with the heated knife. For those who can't afford a small two frame extractor, a 'slinger' which is a hand-operated single frame extractor, would be a cheaper alternative. The top bar of the comb goes to the outside as the cells slope upwards. 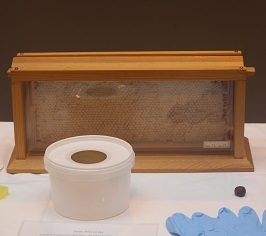 A plastic food grade tub or bucket to collect the honey from the frames (if done by hand) or from the extractor. A fine kitchen strainer or sieve is ideal to strain the honey, although a double sieve is also often used to make sure all impurities are removed. In winter, honey is cold and is very hard to extract; it also candies readily. If you want to return the honey to its normal consistency either leave it in the sun for a while, or warm it lightly. Always seal your honey because it attracts moisture. Honey containers with plastic caps are easy to use and are readily available in various sizes from small 25ml jars to small 1litre buckets, from beekeeping suppliers. Make sure that you seal jars as soon as possible after filling with honey – honey is hygroscopic it absorbs air moisture – unsealed jars left in open and humid conditions may start to ferment when exposed to excessive moisture. Don’t deplete a hive when its activity slows, or you will lose bees and future productivity. The best option is to leave bees enough honey to last the winter (about 20kg or one full depth box). The other option, which some commercial beekeepers use, is to take all the honey off and feed sugar syrup over the winter. Sugar is cheaper but probably not as good for bee health. When bees collect pollen and nectar from flowers and bring it back to the hive – some of it is converted into honey but the rest is converted into beeswax. Bees build their combs from beeswax so they need it in order to survive. Once you see white cappings in the hive covering the hexagonal shaped cells, it means that the honey is ready for extraction. It is the cappings which are situated on both sides of the cells that make up the beeswax. The cappings are removed from both sides of the cells and set aside to max wax blocks and the honey is then readily extracted from the cells.